Land Life Company Raises €3.5 million in Series A Funding, welcoming The Jeremy and Hannelore Grantham Environmental Trust as a new investor. 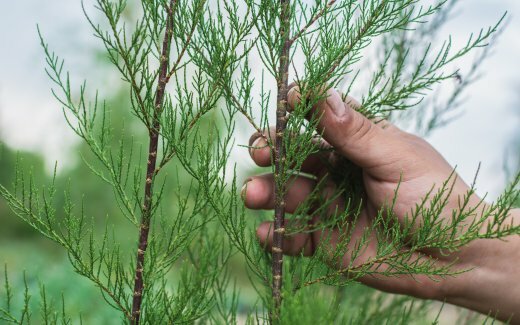 Amsterdam, Netherlands – October 4, 2018 – Land Life Company, a leading nature reforestation venture based in Amsterdam, The Netherlands, announces a Series A investment of €3.5 million. In this round, Land Life welcomes The Jeremy and Hannelore Grantham Environmental Trust on board as a new investor. This investment is part of the Trust’s Neglected Climate Opportunities Initiative. The financing will enable further development of proprietary technology across the nature reforestation value chain. Patented planting technologies, autonomous planting, remote monitoring and blockchain verification will be applied to Land Life Company’s planting practices, leveraging internal and external data to ensure efficiency at scale. In Autumn 2018, 300,000 trees will go in the ground across 300 ha of degraded land spread over the United States, Spain and Mexico with a focus on optimizing efficiency and restoring ecosystems. Jurriaan Ruys, Land Life Company founder and CEO, steers an analytical and data driven approach to nature reforestation to optimize success rates and minimize costs. Land Life Company was founded in 2013 by former McKinsey partner Jurriaan Ruys and the founder of Bugaboo International, Eduard Zanen. Since winning the Postcode Lottery Green Challenge in 2015, the technology-driven reforestation venture has successfully led reforestation projects in 25 countries around the world with a focus on revitalizing man-made deserts in the EU and USA. Using innovative high-tech solutions, including the patented Cocoon planting technology, Land Life Company’s mission is to help reforest 2 billion hectares of degraded land globally.